EMR4Healthcare, provides web based specialty specific Electronic Medical Record. Patient Dashboard: Provides access to patient demographic information, insurance records, allergies, medical history, transcriptions, prescriptions, superbills, documents etc. Medical History: Maintains an exhaustive update on the patient’s medical history across vital parameters such as statistics, medical problems, allergy details and lab reports. Visit Records with S.O.A.P. templates : Easily manage patient encounters from scheduling and check-in through the check-out process. Specialty specific EMR includes clinically-defined templates for complaints, history of present illness, review of systems, physical exams by systems and cardiology procedures and notes. Specialty Specific ICD CPT: The system also includes cardiology specific ICD and CPT codes that are used to capture accurate charges and quickly generate electronic superbills at the point of care. Insurance Records: A detailed track of the patient’s insurance policies containing plan, termination date etc. This is integrated with the billing systems. Referral Doctor System: The system maintains the database of all doctors (permanent doctors, visiting doctors) with details of address, contact details, qualifications, and specialty. 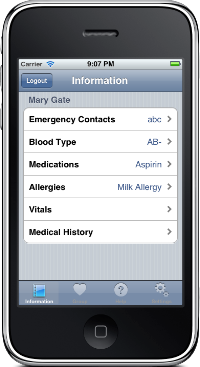 Patient Intake Forms & : Allow Patient to fill his details on the clinic’s website and directly updated on the EMR. Give patients access to online medical records, upcoming appointments, and test results with a patient-centric portal designed to relieve your staff from very basic but time consuming patient requests. Alerts System: Automatic alerts are generated for immunization and abnormal range lab results.